Disciplining a child can be tough, no matter what your methods, but one time-tested method that many parents resort to is time-out. Time out can be enacted to calm a hysteric, tantrum-throwing child or help drive a point home about certain behaviors. It can also provide kids with time to think about their actions and about how they carry themselves, too. As time-trusted and wide-spread as this method of discipline is, many parents don’t always experience the results they expect to gain from it. The American Academy of Pediatrics recommends time-outs as an effective discipline strategy, saying that “ignoring, removing, or withholding parent attention to decrease the frequency or intensity of undesirable behaviors” is “especially important in promoting positive child behavior.” But in order for time-outs to be truly effective, parents need to know how to go about enforcing them. Saying you’re going to send a child to time-out might sound like a warning, but for some kids, it could soon become an idle threat that they know won’t be enacted. Sometimes, saying that time-out, or any other disciplinary measure, is imminent can get kids to reevaluate their behavior on the fly and adjust accordingly, but when only threatened enough times, kids may begin to think that time-out is not a reality. When warning kids to use time-out, do so in a firm voice and be prepared to follow through. Like any other punishment, time-out can be adjusted to the situation, but acting on your word can make this method much more effective on a consistent basis. 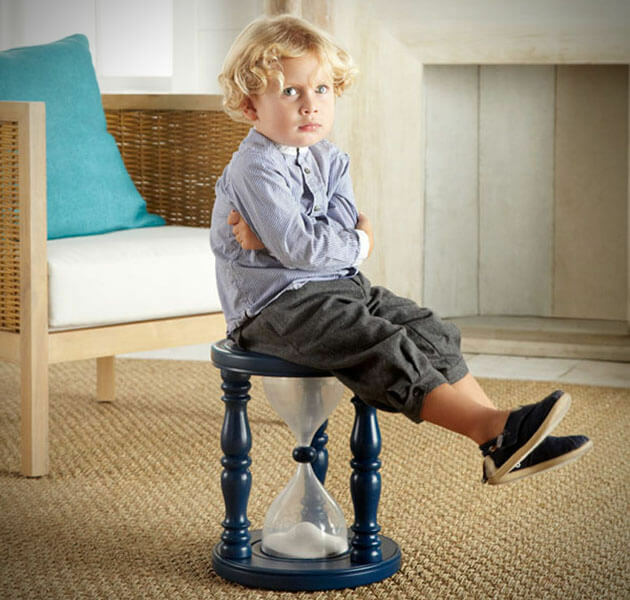 Some experts claim that time-out length should correlate with a child’s age. Kids under the age of two are not likely to be affected by any kind of time-out method, but otherwise time-out (when timed properly) can be helpful. Some studies support the age/minute method, dishing out 2 minutes of time-out for a 2-year-old and 3 minutes for a 3-year-old etc. But others think that a flat, and consistent, five minutes is enough. See what works best for your kids and go from there. Time-outs don’t help when your child might actually want a time-out. If your child is acting out in places where they already don’t like being, such as the grocery store, giving them a time-out is only giving them what they want. Find other small disciplinary measures to take, such as removing a privilege or a toy, or delaying some other activity later on. “Go to your room!” may sound like a common disciplinary phrase, but sending a child to their room for time-out may not have the desired or intended effect if their room is full of their own belongings, toys, etc. Find a place where kids are more or less forced to focus on their actions, such as a laundry room or bathroom where they may not forget about their punishment and find themselves distracted.